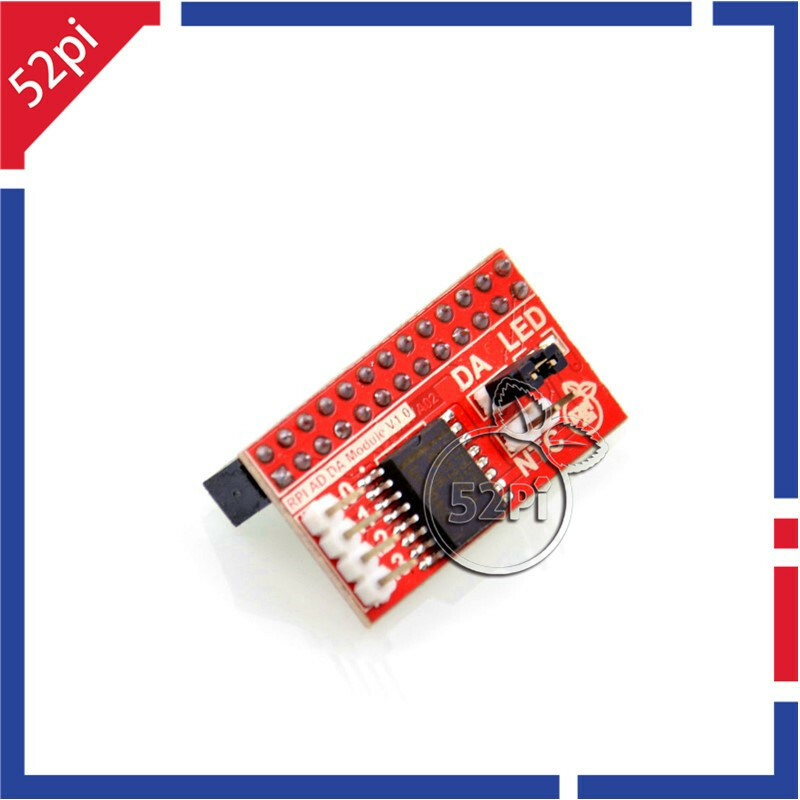 The DA/AD module is specifically designed for Raspberry Pi. It communicated with Raspberry Pi through I2C bus. There is a LED light on the board that you can adjust brightness through DA. The module supply 4 ADC channel through header on the left side of module and the thermistor interface. The user can choose according to actual demand and use them. The module is easy to use even you don’t need to write C code. Because the module support wiringPi so you can use shell script to control it. device with four analog inputs, one analog output and a serial I2C-bus interface. Three address pins A0, A1 and A2 are used for programming the hardware address, allowing the use of up to eight devices connected to the I2C-bus without additional hardware. Address, control and data to and from the device are transferred serially via the two-line bidirectional I2C-bus. function, 8-bit analog-to-digital conversion and an 8-bit digital-to-analog conversion. The maximum conversion rate is given by the maximum speed of the I2C-bus.